I’ve gotta be honest with you; felt a little bit weird seeing Jack Wilshere in a West Ham shirt yesterday. I don’t know why because there have clearly been pictures of him as a little boy in a West Ham shirt, due to his family supporting the club, but it still felt odd and I didn’t really like it. 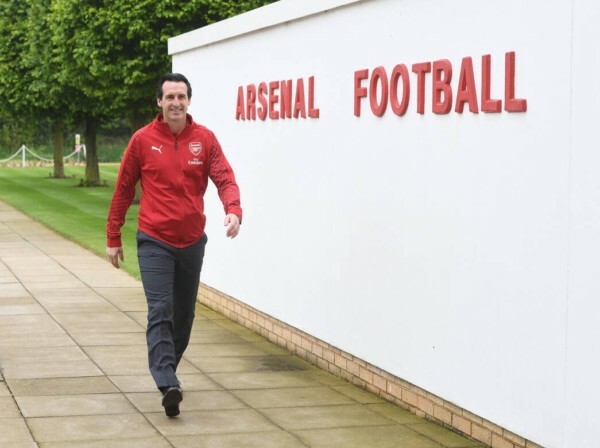 We all knew he was leaving and we all knew that he would have stayed if the club had told him he’s going to get more game time, that the club and Emery couldn’t offer him that, and so we’ve had time to get our minds ready for that. But it still didn’t make it feel any more weird for me. He was supposed to be our next Tony Adams. He was The Chosen One to take over from Cesc. He was the guy who the club would be built around and lead us to glory. Yet here we are just over ten odd years since he joined and we find ourselves losing a youth prospect who injuries never really permitted to become that world class central midfielder he all hoped for. I’m sure we all wish him the best though. There’s no doubt he loves Arsenal and we all love him. It was just a love that wasn’t designed to last. Good luck for West Ham Jack. Just not against us. Arsenal are moving on and with two medicals supposedly taking place yesterday I suspect we’ll get something either today or tomorrow and that will mark the end of the acquisition spree. The next steps is to drill a structure, style and identity into an Arsenal team that will have been drilled in the ways of Wenger. Emery needs to start imparting his start and he’ll be doing it with a squad that looks almost unrecognisable to the one the won the FA Cup a few seasons back. That’s quite some turnaround from the team that won the FA Cup and it’s happened in the first team and the squad. And if Ospina heads out the door too the turnover in playing staff becomes all the more stark. But I suppose if you’re going to rip up the book and start again then you have to do it with the football staff first and that looks very different to the one that lost 4-3 to Liverpool just two years ago. That team had just four players in the matchday squad (Bellerin, Monreal, Ramsey and Xhaka on the bench) who started the first game of the season. It hasn’t worked in the last couple of years and many of us have mentioned how we don’t feel too much of an affinity with many of these players. Well, we got what we wanted, because we’ve had a total overall in both players and managers. Now we have to hope the ‘New Batch’ can have more success than the last incarnation. It’s semi final evening tonight for France and Belgium and this is a game I’m really looking forward to. The French often treat the Belgians as an annoying little brother and so it would be really funny if this Belgium team can overturn them and get through to the final. Out of the two teams that will get through to the final tonight I’ve been asked who I would rather see England face assuming they get through against Croatia. Personally I think Croatia might be the end of the journey and so it’s a moot point, but the inconsistency of the Belgians historically would suggest that they’d be a preferred option. Having said that the French are a strange bunch; capable of sublime and ridiculous and with the pace they have in our team I suspect they’d be more likely to hurt us, so seeing Belgium go through would be my choice. It would also mean that we’ve got a winner who either hasn’t won it before or will not have won it in donkeys years, so that has to be another reason to get behind The Red Devil’s. I think – and hope – it will be a good game though. There might be a few tired legs but when you are at semi final stage it’s getting to the pinnacle of some players’ careers, so inevitably they’d be busting a gut. Let’s hope that translates to a great match. And that’s pretty much that for another day. Off to work to fire up Arsenal.com and repeatedly press ‘refresh’ on Chrome waiting for some signing announcements.